Each room features a plush Luxury Collection bed, encased in 200-thread count cotton sheets and piled high with plump arctic down or hollow fibre pillows. The lavish bathrooms are detailed in marble and offer plush bathrobes and slippers, a heated vanity mirror, generous walk-in showers with glass doors and deep soaking tubs. Expertly selected technology enhances your stay by keeping you seamlessly connected via Wi-Fi, desktop portals and wireless keyboards connected to each flat screen television. Entertainment options abound with 42 satellite channels in 8 languages, plus movies and music on demand. Parents may place a block on any channels not deemed suitable for youngsters. 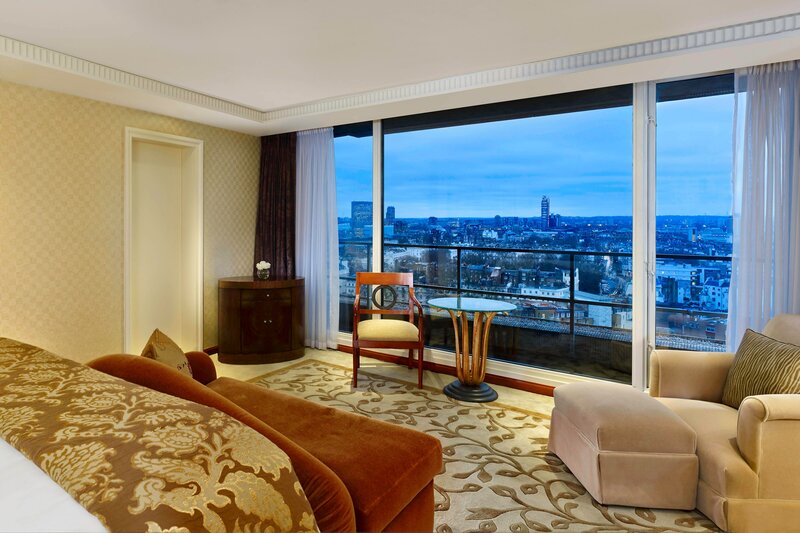 Bordered by London’s most desirable and wealthiest districts, such as the famous Belgravia, your two-bedroom penthouse suite is perfectly positioned for you to explore regal London and experience absolute luxury. 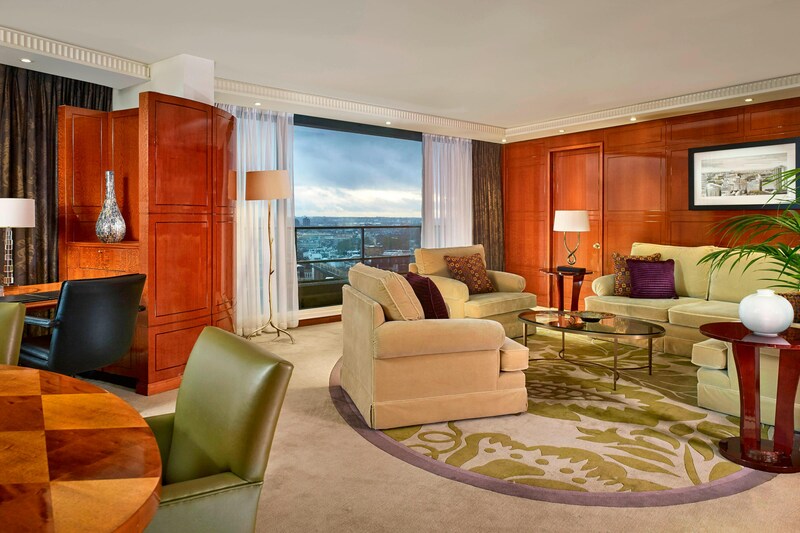 To truly enhance your stay, experience The Park Tower Butler, who reaches beyond the white-gloved service of yesterday to a more contemporary interpretation. This luxury service begins before you arrive when your personal butler contacts you to begin planning your itinerary and navigating any special requests. 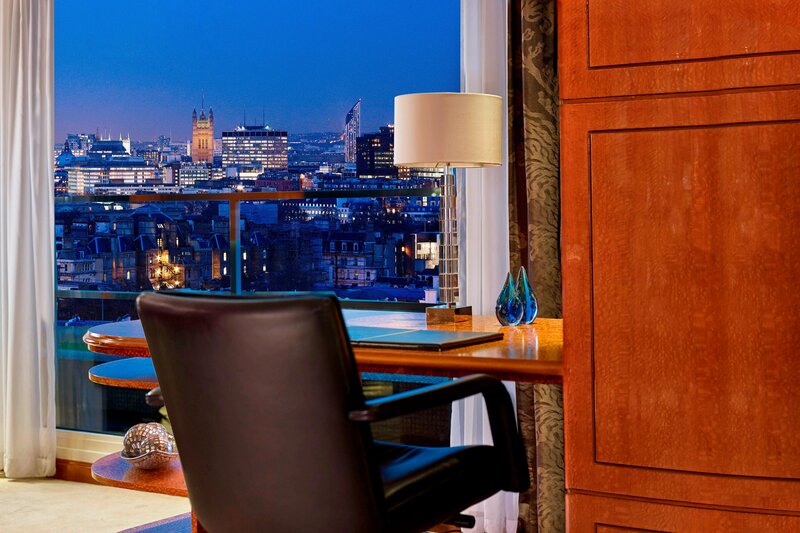 From its striking circular rooms, with majestic views over London, to its artful blend of elegance and modernity, our hotel creates an unforgettable experience for its guests. Relax and allow us to transform your room into a virtual spa with our fabulous in-room spa service.